The MG Owners Club is the World's largest single marque car club. Formed in 1973 and supplying all MG requirements, the Club provides a full range of benefits for the dedicated MG enthusiast or the less enthusiastic owner who simply enjoys running an MG for everyday transport or just for fun. 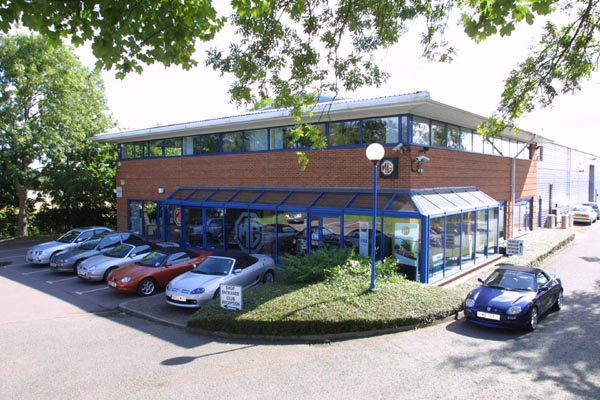 Catering for all types of MG but with the emphasis on 1950's models through to the present day, we offer an unrivalled range of benefits that actively encompass all the latest models. Professionally administered from its Cambridgeshire headquarters, the MG Owners Club publishes a full colour monthly magazine `Enjoying MG', which is full of informative articles, technical advice and includes an extensive MG classified section of cars and spares for sale. Also it contains coverage of the Club's National events, car runs and a variety of annual events. An exciting MG Motorsport programme is also on the agenda. Indeed there is something for MG enthusiasts nearly every weekend of the year! Members can obtain information on maintaining and improving their MGs and the Club offers a full range of Regalia, Parts and Accessories by mail order, telephone or we welcome visitors to the Club Shop based at our Headquarters in Swavesey, near Cambridge. MG Insurance provides 'Quick Quotes' for British members' MGs with Agreed Value cover (classic MG values); it also offers non-MG insurance for Members' other cars and we even have a dedicated MGOC Travel Club for those members who wish to use their MGs to the full often venturing abroad on escorted trips to such far flung places as Norway, Corsica, Le Mans and Southern Ireland to name but a few. M G O C Limited registered in London. Company number 1264646. Registered office: M G O C Limited, Stirling House, 165-175 Farnham Road, Slough, Berkshire, SL1 4UZ.